There is no faster way! Large fleets require fast and effective washing technology. 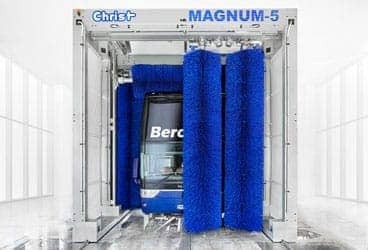 The big challenge is performing a complete wash on the front, side, roof and rear surfaces of the vehicles in order to minimise operating costs over a short washing time. 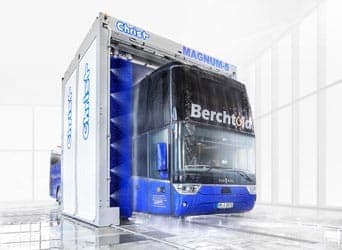 In order to achieve this, the MAGNUM- 5 can be operated in the bus wash operating concept (semi-stationary operation) and / or in the commercial wash operating concept (overrun wash). 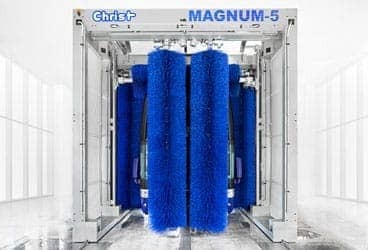 The innovative 5 washing roller concept of the MAGNUM- 5 provides the perfect combination of quality and quantity for vehicle washing and is therefore especially recommended for cleaning in shift operation at transport companies, as a powerful commercial vehicle wash unit or for large courier companies to clean their fleet. Furthermore, the MAGNUM-5 also has all of the equipment features of the basic MAGNUM version. The optimum brush contact pressure is controlled by our electronically-controlled wash brushes and provides you with a contour following and gentle vehicle wash. Therefore, even the difficult contours on your vehicle can be washed gently and effectively. In our semi-stationary wash concept, the driver no longer needs to get out. The automated washing process starts immediately after positioning the vehicle. 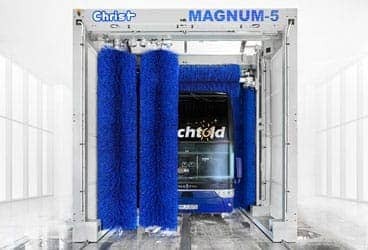 This therefore ensures the fastest wash times. The vehicle drives up to the light barrier. 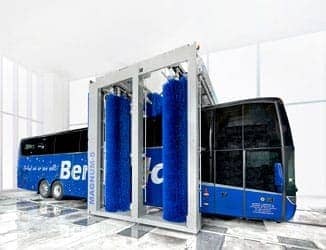 The driver uses the LED traffic light to move the vehicle into the correct position for the front wash.
On the standing vehicle, the installation performs the fully-automated front wash with double cross over wash. 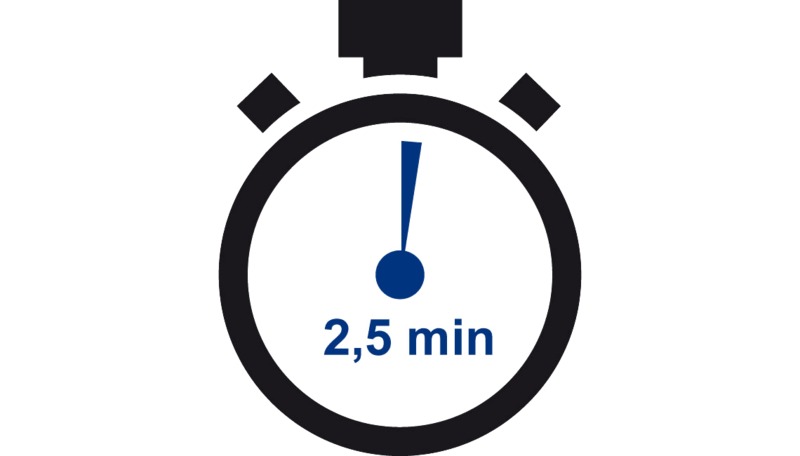 The driver drives the vehicle at a recommended speed of around 12 m/min through the wash system. This provides the roof and lateral wash thanks to the stopped installation while the lateral brushes rotate. 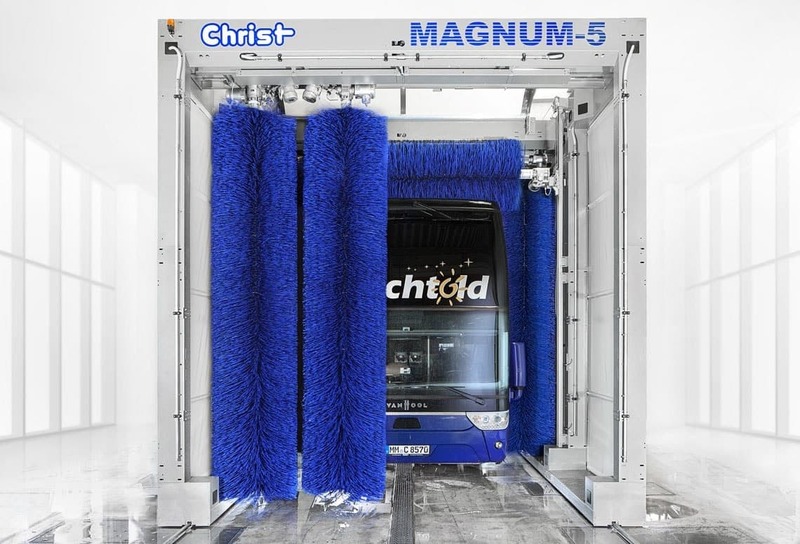 The driver uses the LED traffic light to move the vehicle into the correct position for the rear wash.
On the standing vehicle, the installation performs the fully-automated rear wash with double cross over wash. The vehicle is driven out of the installation’s working area.